Children’s Dentistry has come a long way, and the days of the ‘scary’ Dentist filling hole after hole in a child’s mouth are thankfully a long way in the past. 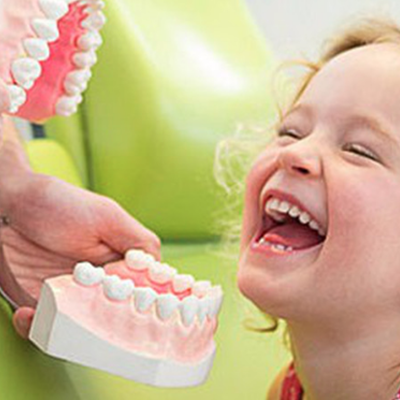 Here at Mona Vale Dental, our team are also parents and are committed to making your child’s visit to us as fun as possible, aiming to make it educational and non-threatening. We believe that if your child has a positive experience it will set them up for a lifetime of good dental health, so we encourage you to bring them along to have regular checks. 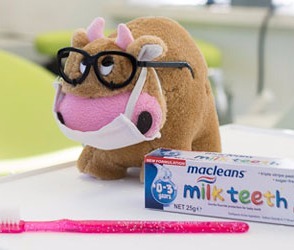 Children’s teeth (often called milk teeth or baby teeth) are not the same as adult teeth and are more porous, so decay can spread more rapidly into the nerve and cause an abscess. They are also in a constant state of movement (as are most children!) as they grow, so for these reasons we recommend that your children come in every six months to have their mouth checked and teeth cleaned. We want to spot any problems before they develop, so this is why we advise coming in regularly.